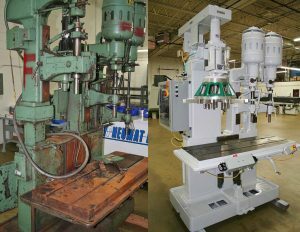 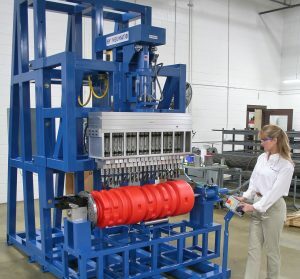 Special Machines Archives | Hypneumat, Inc. 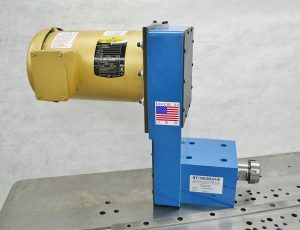 This Hypneumat FX3 Series ER40 spindle block and motor mount belt guard will be mounted to a robot arm to perform a milling operation. 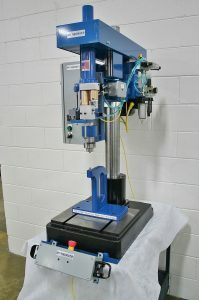 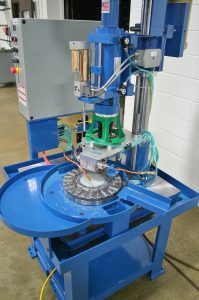 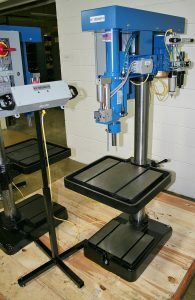 This 4 station automatic deep hole drilling machine peck drills 4 parts at one time. 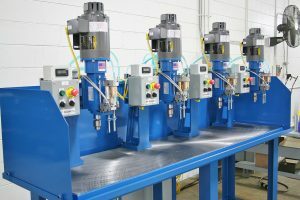 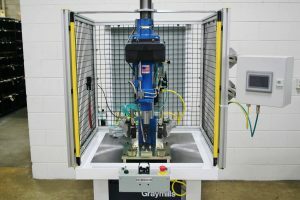 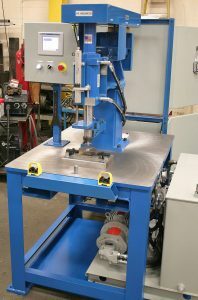 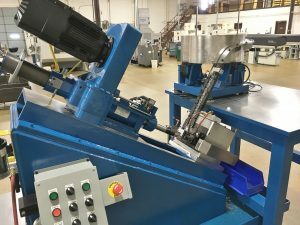 This set-up allows for 1 operator to man numerous 4 station drilling machines.